Greater Vision was in concert last night at my church, East Memorial Baptist in Prattville, AL. Turnout was pretty good, my guess is about 500 or so in attendance, maybe more. Heaven’s Harmony, a mixed quartet based in our church, opened the concert with two songs before Greater Vision hit the stage. It had been quite a while since I had seen Greater Vision in concert, and this was my first time to see Jon Epley along with Gerald Wolfe, Rodney Griffin, and Chris Allman. They sang for about an hour and a half, and focused on well known songs from the group’s long history. GV has long been one of Southern Gospel’s top trios, and last night’s concert was a prime example. Their vocals are superb, the concert was paced very well, and Gerald had a great rapport with the audience as an emcee. It’s very obvious the influence of George Younce on Gerald’s emcee style, but to his credit Gerald does not attempt to imitate his former boss, but rather has his own style. Jon Epley was featured on two songs, Why Me Lord and The Lighthouse. He did a great job on both songs, and really brings a fresh sound to the group’s blend. Especially in his mid and lower register, he has a sound reminiscent of Mark Lanier, the former baritone for Perfect Heart. Jon is a true baritone, much like Mark, and adds a fullness and depth to the sound of the group that it had never had before. He really fits in well with the group. Chris Allman continues to shine in his role as the group’s tenor. He has such a smooth and clear voice, and provided a couple of highlights of the concert on For All He’s Done and I Know A Man. He has continued to bring an added dimension to GV with his songwriting, as his material has a different feel than Rodney’s. I really enjoy Chris being back with Greater Vision. Speaking of Rodney Griffin, he is a model of consistency, both with his songwriting and his vocal abilities. Vocally he sounds the same now as he did 20 years ago. While he is frequently the target of Gerald’s jokes and plays the role of goof very well, he also shared a very touching testimony about his father in law and God’s faithfulness. Gerald played piano and served as the emcee for the evening. He only sang on one song, a great arrangement of I Know He Heard My Prayer that is more of a traditional power ballad as opposed to the oft imitated Statesmen arrangement. I Know was definitely the biggest highlight of the night. I definitely miss hearing Gerald sing, especially on the big ballads like There Is A River or Till The Storm Passes By. 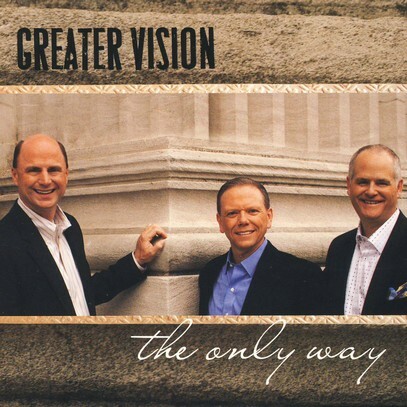 Greater Vision has really been a consistent group since Griffin joined 25 years ago, and even with Wolfe stepping away from vocal duties and Epley coming on board to handle the baritone spot that consistency is still present. Their blend is very smooth, and has seemingly gotten more so with Epley. Their material is top notch, though I will say I was a bit surprised at how much the set list was weighted toward their older material. Epley really seems to have found a nice niche and home with GV, and as he continues to grow into his role, I’ll be interested to see how their sound and arrangements evolve. If they are in your area, do yourself a favor and go see them. Tonight was a great night of worship and singing with a top tier group. Thanks guys for a very enjoyable night! Greetings from the great state of Alabama! It’s been quite a while since I posted anything here, so let’s catch up! You will of course notice I said the state of Alabama, and you may recall from previous concert reviews that I lived in the Memphis area. That all changed late last year as I took a new job and moved my family from the Memphis, TN area to the Montgomery, AL area. New job, new house, new church, but through it all God has been faithful and blessed us beyond what we deserve. We miss family and friends in TN, but we are very happy in our new home. As a means of getting back into this thing called blogging, any of my readers in the Montgomery or Birmingham areas, let me invite you to a concert this Sunday night at our new church. Greater Vision is in concert at East Memorial Baptist Church in Prattville, AL at 5:30 PM this Sunday evening, August 5. A concert review will follow on the blog for the first time in quite a while. Come out and enjoy a night of gospel music! I find a couple of things interesting. First of all, the similarity in all three responses is incredible. Out of a possible 15 slots for albums to be named, there were only 9 (and Gerald’s list had 6, as he had a tie for 5th). It really shows the unity and similarity in the way these three gentlemen think. Also, Gerald nailed the top 5. In order. So what do you readers think? You’ve seen what the guys of Greater Vision think, do you agree? In their latest newsletter, Greater Vision has announced that they’ve made their out of print albums available for download in a new digital store. You can access the store here. Albums are $9.90-$11.99, single songs are $0.99, which is pretty typical for digital downloads. It’s good to see these albums made available, and it’s a good way to complete your GV discography. Here’s hoping that other groups follow suit. While not the first Daywind CD from Greater Vision since Chris Allman rejoined, this is the much anticipated first album of (mainly) new material of the Allman era, part 2. Overall: 9 Since Chris Allman returned to Greater Vision, fans have been waiting for their new “mainline” style project to see what kind of an influence Chris would have in their future direction. That has been settled with this project. The group has been given a breath of fresh air, and Gerald Wolfe produced a tremendous album. Wolfe is one of our most recognizable voices, and carries his part with an air of precision and excellence. Rodney Griffin gets a lot of attention for his songwriting, and deservedly so, but Griffin has developed into quite an effective vocalist in his own right, and as the years have gone by, he’s taken more and more of the higher lead notes while Wolfe has deferred to the baritone part. Rodney is a solid singer as well as one of our top songwriters. As I have said previously, Chris Allman stepped out of a time machine set on about 1995. He has seemingly lost none of his range, and if anything his voice has matured and improved over the last 15 years or so. He really brings a fresh energy to the group, almost as much for his songwriting contributions as his vocals. I do wish there had been more uptempo songs included, as the project seems to drag some after “The Only Way”, but that’s a minor complaint. Greater Vision fans, and SG fans in general, do not want to miss out on this project. It’s a great effort that will provide a lot of listening enjoyment and some timely messages. A couple of videos have surfaced of rehearsals by the original lineup of Greater Vision for the reunion concert that was recently held. (h/t, DJM) I can’t stop watching the clip of “Sailing Away”, it’s just that good. I love Pat Barker’s reaction in the background when Gerald, Mark, and Chris just effortlessly nail the cascading harmonies to the inversion on the second chorus. These videos reinforce my belief that the combination of Chris Allman, Mark Trammell, and Gerald Wolfe was the greatest male trio SG has ever seen. Wow. The scary thing is they sound just as good, if not better, as they did 20 years ago.